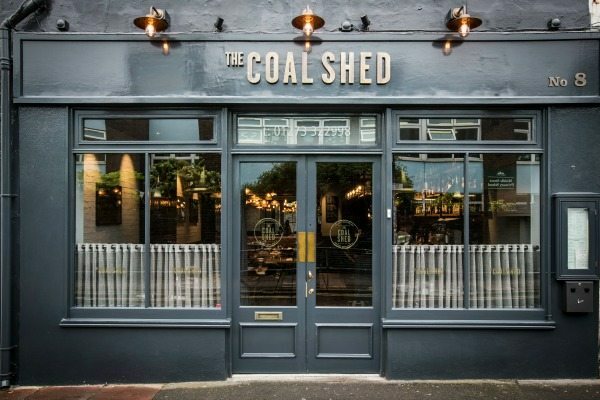 Right in the heart of Brighton just moments from the beachfront, tucked away on one of Brighton’s quaint lanes, The Coal Shed stands proud; it’s signature steely grey luring you in. With our 2 little girls in tow, we took our seats, I started taking notes of the stunning interior and wondering how I could replicate this at home… This place oozes a vintage elegance, a sort of effortless charm that sees the mismatched long pendants casting a glow over the polished bar with ceiling high shelving, playing host to an impressive collection of liquor. Our waitress, Sheila was a delight – taking time to explain the menu to us. 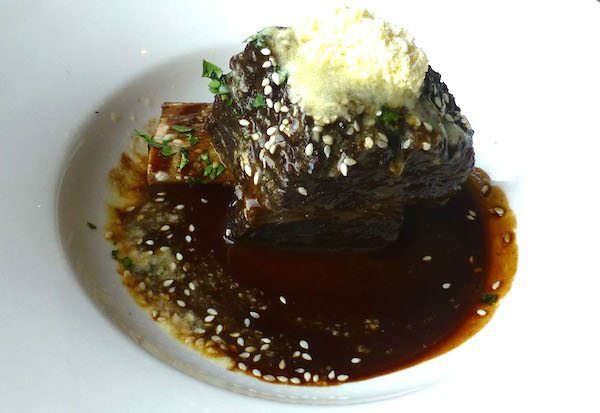 The beef is sourced from a farm in Scotland, the name of which is kept under lock and key. 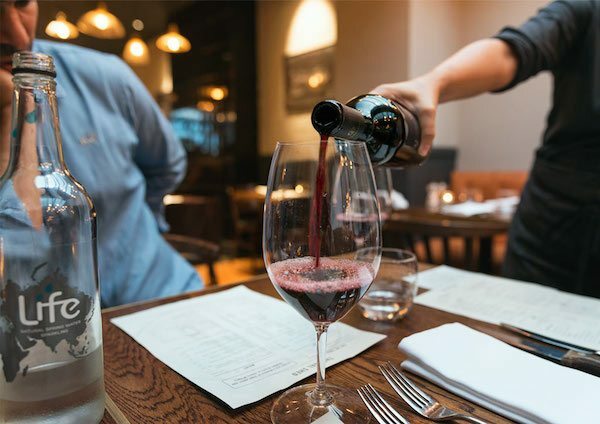 It is then cooked to perfection in a rare charcoal Josper oven, imported from Spain. This investment has insured that every steak leaving the kitchen is gobsmacking tasty, and quite unique in flavour to The Coal Shed. We didn’t need much persuasion to order the Sharing Roast. This seemed an ideal choice for us as a family, the children could choose their favourite bits for their plates, leaving us to devour the rest! Excellent plan. We couldn’t resist ordering a couple of the mouth-watering starters, just to whet the appetite, and actually be plain greedy under the guise of research. I chose the BBQ-glazed Jacobs ladder. To convey the utter decadence of this dish to you is easy: simply cast your mind back to the most succulent, juicy, mouth watering Ribs you have ever had the pleasure of tasting; and then double it. The plan was to just taste the dish therefore leaving maximum space for The Main Event- a la Greg Wallace in MasterChef, instead we devoured the entire dish. Our little girls were treated to a little helping of Beef dripping chips and carrots. Yes, really. Our very accommodating waitress arranged for them to have their favourites sent over whilst we were oohing and ahhing over our dishes. We had 2 very happy little ladies at the table. A roast like-no-other made its way to our table, with just the right amount of pause between courses. Beautifully served in quirky pots and dishes, the feast was laid out before us. 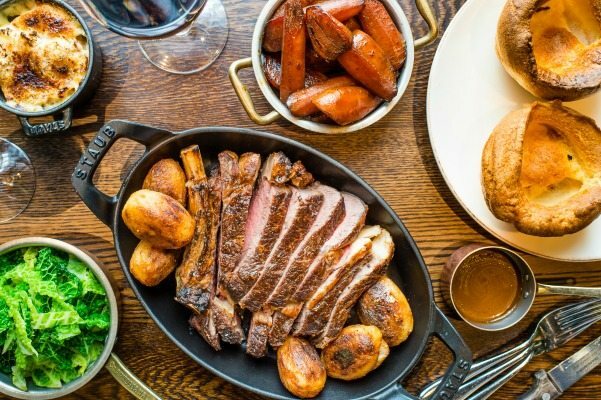 The most delicious 700g of Aberdeen Angus 35-day dry aged roast sirloin of beef was surrounded by crisp roasties, fluffy Yorkshire puddings, cauliflower cheese still bubbling from the oven and served in tiny saucepans, honey glazed carrots, and cabbage. The gravy was a triumph – and always one of my favourite parts of a Roast lunch, this didn’t disappoint! With eyes on stalks we tasted one delicious mouthful after the next. The quality of the food, the presentation and execution was something to behold. This was putting even the very best pub roasts in the city well into the shadows. 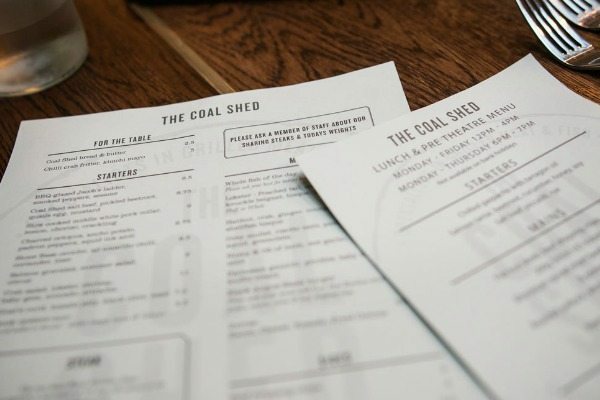 It is fair to say that The Coal Shed defines the roast lunch. With meat cooked that well – and accompaniments that sing in their own right, this was a very special meal. 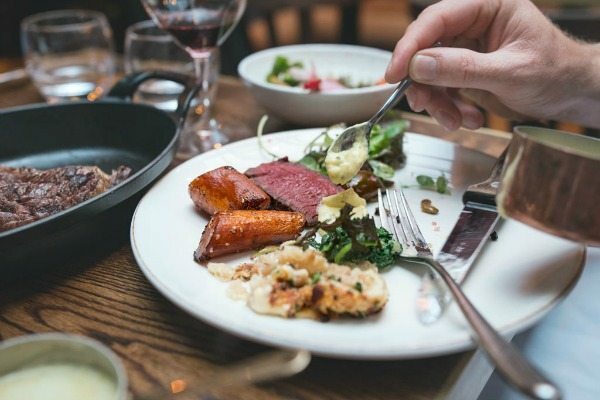 The novelty of having a sharing roast lunch turned the lunch into a real talking point and gave a relaxed feel in arguably one of the best restaurants on the south coast. Given the quality and reputation it would be understandable if a pretentious air filled the dining room, but let me assure you, there is nothing pretentious about this place: Just honest food cooked to perfection and served by a charming, knowledgeable and friendly team. Our children were made very welcome, highchairs and changing facilities are available and our buggy was whisked off to be stored for us while we enjoyed our meal. The only problem with the roast lunch at The Coal Shed is that my family preferred it to my own. My roast lunch crown has been handed over to a restaurant that left us speechless. 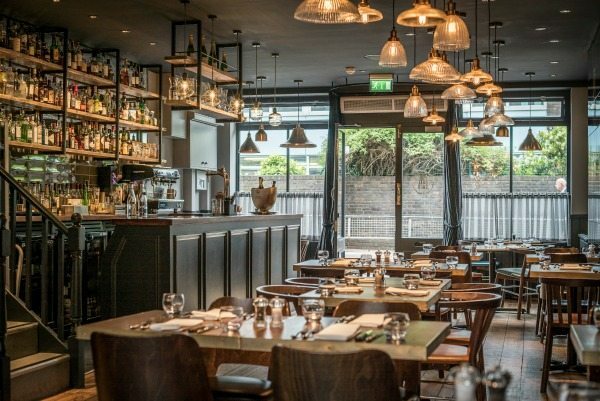 From the chic interior, the relaxed friendly vibe to the simply beautiful food. Go with family, go with friends, this is a must do for anyone who appreciates the very best that a roast lunch has to offer.